The Cleveland Eye Clinic doctors are worldwide leaders in the development and operating room use of the ORA System™Technology. The Cleveland Eye Clinic doctors have given many lectures and educated other doctors about this technology. The ORA System™ is a big advancement in eye lens surgery – it assists the eye surgeon at the time of surgery by helping the surgeon make the best choices for intraocular lens power and astigmatism correction. ORA uses Wavefront technology to analyze many possible imperfections of the way light passes through the eye to the retina. ORA can tell if the eye is in focus at the time of surgery, and if it is not, the ORA System™ helps the surgeon focus the eye. The Cleveland Eye Clinic doctors admit that it adds a couple of minutes of time to the surgical procedure, but have no doubt that it is well worth the extra time. 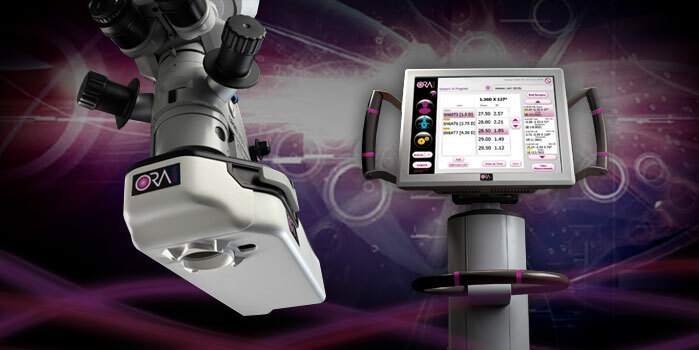 The ORA System™ may help your surgeon achieve better results and provide you an improved quality of vision. The ORA System™ gives your surgeon an added level of confirmation for an optimal outcome.